Working paper. Available at SSRN. This study uses experimental methods to investigate covert racial discrimination in “roommate wanted” ads on Craigslist. 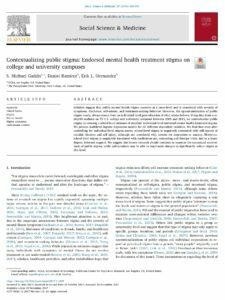 Roommate relationships include significant social dimensions, and are an important site through which segregation may be reproduced or broken down, but have received very little attention by researchers. We develop fictitious racially-coded female names and identities for white, black, Hispanic, Chinese, and Indian room-seekers, along with Hispanic, Chinese, and Indian room-seekers with “Americanized” first names. We implement a field experiment and respond to over 1,500 “roommate wanted” advertisements on Craigslist across three metropolitan areas. Our emails express interest in the roommate-wanted ad, and mention that the sender is college-educated and employed full-time. We monitor response rates in the aggregate and within Census tracts of varying racial and economic characteristics. We find severe discrimination against African Americans, Hispanics, and Chinese-origin individuals. Asians with Americanized first names are treated equally to whites, while traditional Indian names and Americanized Latina names face moderate levels of discrimination. Patterns of discrimination by neighborhood race and class characteristics yield better access to upward mobility for Asian Americans than for underrepresented minority group members. Our findings reveal an important social mechanism that constricts integration and opportunity, shed new light on Asians’ and Latinas’ place in the US race system, reveal important interactions of race and presumed nativity, and show the ongoing relevance of race. Evidence of racial and ethnic discrimination stems mostly from experiments in the U.S., Europe, and elsewhere that use names to signal race/ethnicity. Although recent work has examined individual racial perceptions of names in the U.S., no research has examined how names might convey immigrant generational status – an important signal for discrimination experiments across the world. I conduct a survey experiment that presents respondents with a series of first and last names to examine perceptions of immigrant generational status in the U.S. In total, 1,659 respondents provide information on 56 different names. I find that when presented with both traditional first and last Hispanic, Indian, or Chinese names, respondents most often believe that person was not born in the U.S. When presented with traditional white or Anglo first names combined with Hispanic or Asian last names, respondents most often believe that person was born in the U.S. but their parents were not. Individual names provide some variation within these results and some groups have stronger results than others. 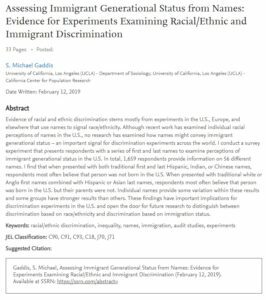 These findings have important implications for discrimination experiments in the U.S. and open the door for future research to distinguish between discrimination based on race/ethnicity and discrimination based on immigration status. In S. Michael Gaddis (ed.) 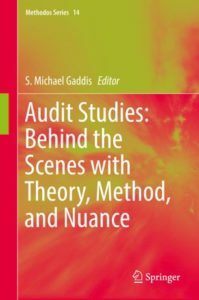 Audit Studies: Behind the Scenes with Theory, Method, and Nuance, 3-44. 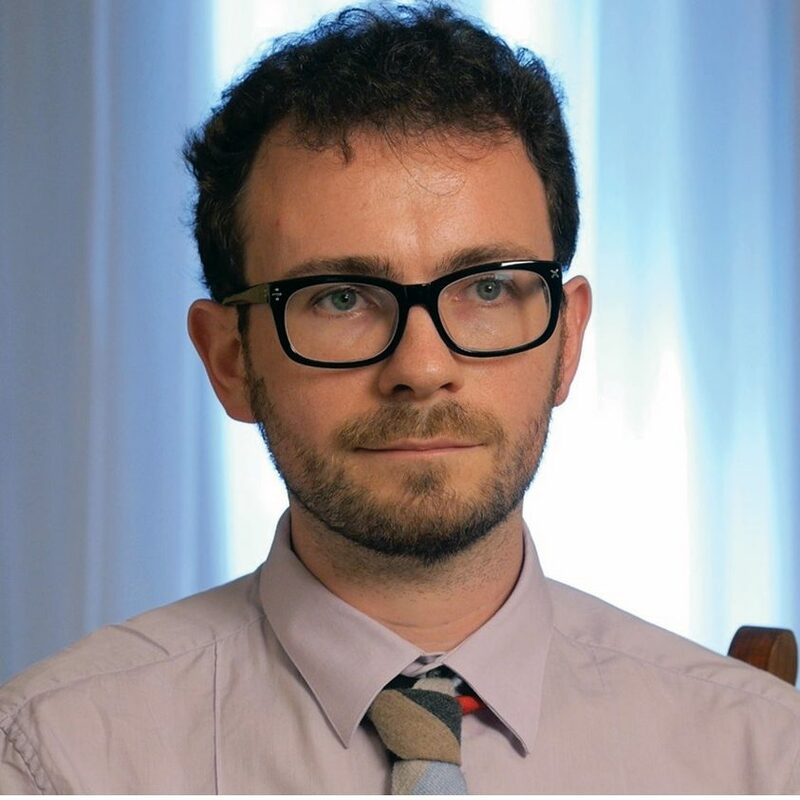 An audit study is a specific type of field experiment primarily used to test for discriminatory behavior when survey and interview questions induce social desirability bias. In this chapter, I first review the language and definitions related to audit studies and encourage adoption of a common language. I then discuss why researchers use the audit method as well as when researchers can and should use this method. Next, I give an overview of the history of audit studies, focusing on major developments and changes in the overall body of work. Finally, I discuss the limitations of correspondence audits and provide some thoughts on future directions. The introductory chapter to this special issue highlights contemporary scholarship on networks, work, and inequality.Methodology – We review the last decade of research on this topic, identifying four key areas investigation: (1) networks and hiring, (2) networks and the labor process, (3) networks and outcomes at work, and (4) networks and institutional dynamics.Findings – Social networks play an important role in understanding the mechanisms by which and the conditions under which economic inequality is reproduced across gender, race, and social class distinctions. Throughout the review, we point to numerous opportunities for future research to enhance our understanding of these social processes.